South Jersey Sports Online has been covering the SJHSIHL for over 10 years and now it's time they have their own dedicated website coverage. High school ice hockey has been one of the main sporting event that many viewers have continually visited SJSports Online for news, information and photos of the SJHSIHL quest for the title. Now that information will be located on www.SJIceHockey.com with game and featured articles written by Mike Costantino and his staff. The Lady Quakers were in perfect position of claiming another state girls' lacrosse title for their high school but the way this game started out, Moorestown would have to earn it. In this year's Tournament of Champions game, the Quakers would have to overcome an early two goal deficit in order to defeat West Morris Mendham. Moorestown's coaches would rally their players during a timeout that soon proved to be the turning point in this state title game. The Quakers would score the next nine consecutive goals to take a commanding lead. Bridget Callahan would score two of her four goal performance during that stretch to lead the way for Moorestown. The Quakers would go on and defeat Mendham by a 16-6 margin and celebrate their eighth straight state title. The top two teams of the South Jersey Group 2 softball tournament were on a collision course when the battle for the sectional title began. The number one seeded Lady Hawks from Haddon Township were hosting a very familiar opponent in the Lady Knights from Sterling. During the regular season, the Hawks were able to defeat their Colonial Conference opponents twice and they were looking for the sweep. Sterling would use this opportunity to put enough runs on the scoreboard and finally defeat Haddon Township when it really counted. The Knights rally during the fifth inning gave them a lead and they never looked back. Sterling would defeat the Hawks by a 9-4 score and claimed a well deserved title. This was a game that the Lady Quakers from Moorestown had something to prove to themselves. And what better to do so against another dominating lacrosse team. The top seeded Quakers were hosting the second seeded Lady Renegades from Shawnee in from of a very large crowd. For the first seven minutes of this game, the defenses took center stage keeping the game scoreless. Just like a shaken soda bottle building up pressure, Moorestown's Giulia Giordano goal allowed the rest of the team to get excited knowing that they were able to score first against the Renegades. From that point on, Moorestown kicked their offense into high gear to take a commanding lead. The Quakers defense was the key to their 11-3 win as they kept Shawnee off the scoreboard during the entire first half. It was a game that the boys' lacrosse team from Moorestown would not give up no matter what the score was. The second seeded Quakers were hosting the third seeded Green Raiders from Ramapo with a chance to advance to the Group 3 state finals. The Quakers were behind numerous times only to battle back into the game. Trailing by a goal with less than a minute remaining in regulation, John Marcelli's game tying goal sent the fans jumping out of their seats and this game would be decided in a sudden death overtime period. But with 1:47 remaining in overtime, Ramapo's Tom Bosnick picked up a loose ball and scored his second goal of the game ending Moorestown's season. Moorestown's 13-12 loss would end a very exciting season. The start of the South Jersey Group 3 softball tournament would begin at Highland for the Lady Tartans were they would compete against their neighboring rival Triton Mustangs. Throughout the regular season, both teams have their stories to tell about how they were able to come away with a dramatic win. But that's now in the past and a new season was beginning and this time it was Highland who would take charge of this game with their bats. The Tartans would score at least a run in every inning except one during their first round action of the tournament play. Highland's quick start allowed them to defeat Triton by a 10-4 margin. No team enjoys losing, especially when a team has gotten used to winning. The Crusaders from Bishop Eustace had won 13 out of their last 15 games but were trying to snap a current two game losing streak. Jim Yezzo's first inning three run homerun highlighted a six run inning that put the Crusaders ahead of the Mustangs from Triton. Starting pitcher Chris Monaco only allowed one hit and Bishop Eustace would cruise to a 10-0 victory. It was a game that both teams would remember how the last meeting ended on the field. The Lady Crusaders from Bishop Eustace used their last at bat to steal away a one run victory over Camden Catholic. 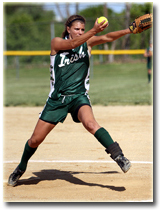 During their rematch, there wouldn't be a dramatic come-from-behind victory but the Lady Irish would use clutch hitting and good pitching to even the score. Camden Catholic's early run support allowed starting pitcher Alyssa O'Donnell and the rest of the defense limited their opponent to a single run. The Irish would win this game by a 6-1 victory. There's a race for the title taking place and three teams, Seneca, Bishop Eustace and Camden Catholic are all in contention of claiming the Olympic Conference National Division title. Two of those teams met at Camden Catholic where the Fighting Irish was hosting the Crusaders from Bishop Eustace and both teams had the talent to win the big games when needed. 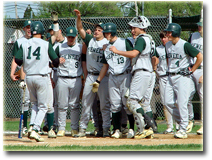 Camden Catholic would use their home field advantage and belted four home runs to defeat their opponent. The Irish never trailed in this game and won by a 12-4 margin. Sophomore Travis Stewart completed his outstanding track season with a third-place finish and a Rutgers-Camden program record at 10,000 meters in the ECAC Championships May 17. Stewart posted a time of 31:56.39 to break his own record of 32:28.35, set April 6 at the Duke Invitational. During the spring, Stewart also set program records at 5,000 meters and in the 3,000-meter steeplechase. Stewart capped the scholastic year with his third Raptor of the Week honor. He also won the honor for cross country on Oct. 16 and shared it with cross country teammate Jonathan Salamon Oct. 30. Erin Degnan and Rachel Morgan pitched complete game wins and Megan Trimble hit her third home run of the season as the University of the Sciences in Philadelphia women's softball team took both games of a doubleheader against Nyack College, 4-2 and 6-1 Friday afternoon at McNeill Field. The Devils improve to 11-19 overall with the two wins and 8-8 in Central Atlantic Collegiate Conference games. Nyack falls to 6-19 overall and 3-11 in league games. USP's 11 wins are the most by a Devils softball team since the 2004 season. Millersville University became the eighth team defeated by the University of the Sciences in Philadelphia men's tennis team yesterday afternoon as the Devils, on the strength of their singles play, handed the Marauders just their second loss of the spring season, a 6-3 defeat in Millersville, Pennsylvania. The Devils improve to 8-2 overall. Millersville falls to 4-2. The Devils took two out of the three doubles matches with Tyler Weisel and Ricardo Martins teaming up to earn an 8-2 pro-set win over Greg Bennett and Chris Paolini at number one doubles. Roberto Franco and Dan Rubin defeated Mark Trieres and Scott Smith, 8-6 at number three doubles for USP's second point of the afternoon. Paul Caceres and Ken Connelly fell to Chris Matisse and Jim Trieres at number two doubles, 8-2. It only took one run, but that run that seemed so innocent was the biggest run of the game. During their first at bat, the Lady Vikings from Eastern was able to score a run and jumped out to an early lead against the Lady Mustangs from Triton. As the game progressed through the middle innings, the one run was the main focus by both teams. Starting pitchers Brittany Hicks for Eastern and Britney Yocum for the Mustangs were able to keep their opponents scoring any runs. But that lone run to start the game would hold up and the Vikings would pick up an Olympic Conference win. When two teams with winning records meet on the field, it's hard not to judge the other team to see how good they really are. You can say that about both the Indians from Lenape and the Pioneers from Clearview. Both have winning programs and have demonstrated that they could come away with a victory if they play at the top of their game. Clearview would jump out to a one goal lead, but the Indians would respond and flipped their deficit to a two goal lead at the break. Both teams would tighten up their defenses during the second half and Lenape would come through with a three goal performance by Scott Kalmey. Lenape would hold off the Pioneers and secure a 7-5 victory. Senior right fielder Autumn Millett ended her stellar four-year Rutgers-Camden softball career by hitting .500 (4-for-8) at the NCAA Fayetteville Regional May 10-11. She finished with Rutgers-Camden career records for games (187), at bats (549), hits (194), runs (151), total bases (345), RBIs (146), home runs (36) and walks (82). She set single-season records in 2007 for hits (65), RBIs (50), home runs (13) and total bases (117) while leading the team in batting (.464), slugging (.836) and on-base percentage (.525). She also earned a berth on the Louisville Slugger/NFCA East Region First Team. With the postseason not too far away, there are two teams who aren't worried about qualifying for the playoffs. In a non-league softball game, the Silver Knights from Sterling were hosting the Lady Flashes from Florence. Both of these teams are amongst the leaders of their division and for them, every win moves them closer to capturing the division or conference title. Starting pitcher Melissa Mehrer had everything going her way for Florence as she not only hit a home run but also completed the game and struck out twelve batters. Florence would shutout Sterling by an 11-0 score and extended their winning streak to seven games. It was a team effort, no doubt about it. 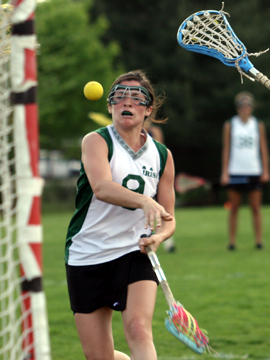 The Lady Irish from Camden Catholic's girls' lacrosse team was very determined not to let their guard down against the Lady Panthers from Collingswood. These two teams have a history of one team coming from behind and defeating the other. On this day, Camden Catholic kept their intensity during both halves of this game and quickly took control. Michelle Vittese scored six goals for Camden Catholic helping the Irish build a lead that they were able to feel comfortable about. The Irish would post a 20-6 win over Collingswood. During the season, most of the time a team plays an opponent two times from their division usually on their home field. 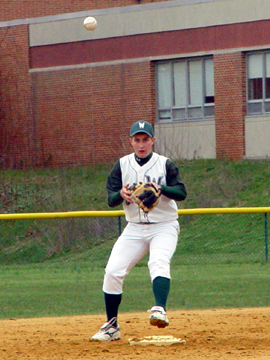 The first time the Eagles from West Deptford hosted the Green Wave from Audubon, it was a pitcher's duel and West Deptford would hold onto an early lead. Both of these teams were looking to get back on the winning track as they would lose their previous game during their opponent's last at bat. 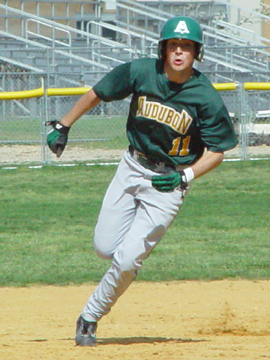 This time at Audubon, the Green Wave would score in every inning except one and were not too hospitable as their six run fifth inning put this game out of reach. Audubon's Nate Cowan and Bob Chiarulli would highlight this game with a homerun each and the Wave would cruise to a 14-3 win. High school students are always encouraged to learn as much as they can, work hard and do your best and you will exceed. Exams are also that measurement of what you have been taught and the results show how much you have learned. So far this season, the Renegades from Shawnee boys' lacrosse team have been passing all of their tests and it was time to give them another. Facing them this time at Holy Cross, the Lancers would provide Shawnee with a challenge that the Renegades needed all the help they could get. Trailing by a goal in the fourth quarter, Shawnee would take the lead on Kohl Meyer's goal and managed to hold off the Lancers late rally. The Renegades would celebrate their 7-6 victory in a game that had to be their toughest test of the year. 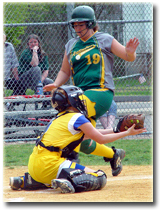 Senior pitcher Megan Farrell hurled every inning at the New Jersey Athletic Conference Softball Championship during Rutgers-Camden's run to the 2007 title. Farrell went 4-0 with a 0.75 ERA in 28 innings, while also leading the team with a .556 batting average and a .714 on-base percentage. Farrell also won Raptor of the Week honors on April 23. During its run of excellence in the New Jersey Athletic Conference, the Rutgers-Camden softball team had posted numerous accomplishments, but there was a new one the Lady Raptors added this season en route to winning the NJAC title May 6 at Montclair State University. For the first time in program history, Rutgers-Camden swept through the NJAC Softball Championship as it successfully defended its conference title with a 4-1 victory over Rowan University. The victory gave Rutgers-Camden its third NJAC championship in four years, a span which also saw them win the title in 2004 and 2006, and finish as the conference runnerup in 2005. Lately, there have been quite a few games that have demonstrated that a game is never over until the last out has been recorded. With that being said, no lead is safe no matter what inning the game is played in. The Lady Braves from Williamstown has been playing well this season and continues to win games keeping them among the leaders of the Tri-County Conference Royal Division. Not that far behind was the Tartans from Highland who held a two run lead heading into the final inning. That's when Williamstown finally produced some runs during the top of the seventh and rallied to defeat Highland by a 4-2 margin. So far this season, the competition has gotten a lot better when it comes to the arrival of boys' lacrosse. 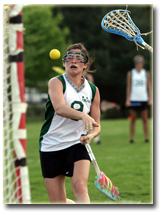 Each year, more schools are adding lacrosse to their athletic program and each year the teams are getting better. When the Minutemen from Washington Township traveled to Lenape to take on the surging Indians, Township had an opportunity to pick up a very important division win. Lenape would find themselves trailing early but bounced back when Zach Simons scored two first half goals to rally the Indians. Lenape would improve their record to 8-3 with their 7-4 win over the Minutemen. With the cutoff date to qualify for the playoffs not that far away, teams have been competing at a higher level doing whatever they can to extend their regular season. Two teams who just would not give up were West Deptford and Haddon Heights. These teams from the Colonial Conference knew the importance of this softball game and neither one of them gave up even when they were behind on the scoreboard. 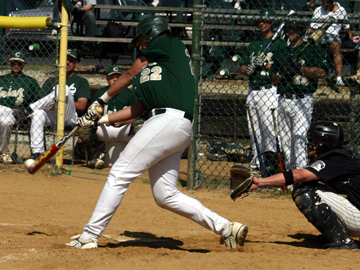 After West Deptford extended their lead to two runs, the Garnets needed to come up big during their last at bat. Haddon Heights would push across three runs during the bottom of the seventh inning and defeat the Lady Eagles by an 8-7 margin. It was a baseball game between two teams who have found different ways of keep their winning streak in tact. So when those teams take the field to figure out who's the better team on this day, only the players on the field will determine the outcome. The Golden Eagles from Seneca traveled to Bishop Eustace to take on the Crusaders in what most have considered two of the top teams in our area. 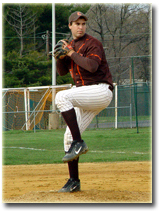 Seneca's early success produced enough runs for starting pitcher Dan Grovatt to work with. The Golden Eagles produced six runs during the first two innings and were able to keep Bishop Eustace off the scoreboard. 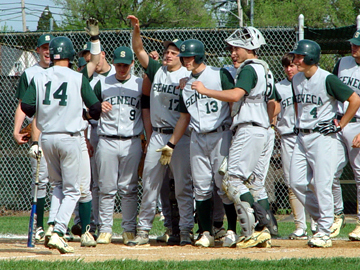 Seneca would extend their current winning streak to six games with their 8-0 victory over the Crusaders. There are several key dates approaching that may have several teams realizing that the cutoff date to qualify for the upcoming state tournament is quickly approaching. The Lions from Cherry Hill West are one of those teams that need to take matters in their own hands if they want to extend their season into the post season. 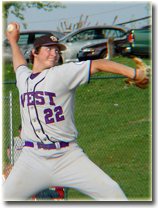 In a non-league baseball game, the Dragons from Kingsway visited Cherry Hill West. After being shutout in their previous game, the Lions rebounded behind starting pitcher Jason Kelmer and took control of this game. 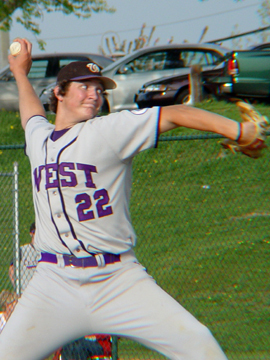 Cherry Hill West would stay above the five hundred percent mark by posting an 11-0 win against Kingsway. Sophomore softball pitcher Natalie Powell and junior track star Mike Fox share Raptor of the Week honors after posting outstanding performances during the week for their Rutgers-Camden teams. Powell went 3-0 with a 0.81 ERA to spark the Lady Raptors’ 4-0 week in softball. She allowed only two earned runs in 17.1 innings, hurled 5.1 innings of shutout relief in a comeback win over Rowan April 24 and won both ends of a doubleheader at Rutgers-Newark April 28. Fox, meanwhile, beat out a field of 56 runners to win the 800 meters at the Lions Invitational April 28, setting a Rutgers-Camden program record in the process with a 1:52.76 clocking. Bloomfield College banged out 29 hits in the two games against the University of the Sciences in Philadelphia women's softball team Saturday afternoon as they clinched a playoff spot by defeating the Devils 12-4 and 9-4 at McNeil Field in Philadelphia. The two losses end the 2007 season for the Devils with a 14-23 overall record and a 10-12 record in Central Atlantic Collegiate Conference (CACC) games, narrowly missing one of the six playoff spots. USP's 14 wins are the most since the 2000 season. USP's 14-23 record is also an 11.5 game improvement over their 2006 squad that went 4-37. Bloomfield improves to 20-16 overall and finishes the regular season with a 14-8 CACC record. All nine players in the batting order recorded at least one hit apiece as the University of the Sciences in Philadelphia women's softball team belted a season-high 19 hits in their 10-4 non-league win over Chestnut Hill College Thursday afternoon at McNeil Field. The win improves the Devils overall record to 14-21, their most wins since the 2000 season. Chestnut Hill falls to 9-16. Ashley Schappell, Danielle Czajka, Samantha Tu and Brittany Brown had three hits apiece to lead the Devils assault on the Griffins pitching with Czajka driving in three runs. Bethanne Bossert and Brittany Ebersole had two hits apiece with Bossert driving in a pair of runs. Erin Degnan pitched a complete game for her second consecutive win, allowing four runs (two earned) on eight hits while striking out seven. It was another softball competition between two Colonial Conference teams looking to extend their current winning streak. The Lady Herd from Woodbury was in search of their third win in a row when they traveled to Audubon High School. 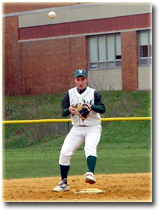 On this day, the Green Wave from Audubon quickly took control of this game by scoring seven runs during the second inning. 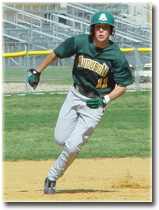 This game would end early as Audubon posted an 11-0 victory and extend their current winning streak to six games in a row. Lauren Beckas would pick up the win on the mound for Audubon. The University of the Sciences in Philadelphia women's softball team missed a golden opportunity to solidify a playoff spot in the upcoming Central Atlantic Collegiate Conference Championships, splitting a twinbill with Philadelphia University Tuesday Afternoon at McNeil Field. The Devils took the first game 8-3 but lost the second 10-1. The Devils' record remains at .500 in conference games with a 10-10 mark. Overall USP is now 13-21. USP is currently tied with Post University for the sixth and final playoff spot with two conference games remaining. Post has four CACC games left and holds the tiebreaker over the Devils by virtue of their doubleheader sweep earlier this year. The Rams fall to 10-24 overall and 6-12 in league play. The expectations are extremely high this and every season for the Lady Quakers from Moorestown. Their girls' lacrosse team has just about every opponent marking their calendars as one of their toughest games on their schedule. With that much reputation, opposing players push their game to a higher level making it even that much harder for Moorestown to overcome. Good teams know how to settle themselves down and not let their opponents dictate how their offense will perform in unexpected situations. This game against the Lady Blue Devils from Shore Regional was tied twice during the early moments. The Lady Quakers would find their momentum and rebound from a previous loss and post a 14-7 victory at Moorestown High School. You have to give a team credit for being able to score runs during the first time up at bat. Coaches and players do their best before a game starts to get themselves motivated for a game. When the Lady Cougars from Cherry Hill East visited the Lady Hawks from Haddon Township, their early two run lead would hold up for six and a half innings. Haddon Township would battle back to tie this game during the bottom of the seventh and then win it in the eighth inning. Bridget Settles would score the winning run on a passed ball and the Hawks would walk away with the 3-2 victory. When two teams who have a history of never giving up no matter what the score is come together, you can expect a very competitive game. This was definitely true when the Lady Pirates from Cinnaminson traveled to Delran to take on the undefeated Bears in a Burlington County League girls' lacrosse game. Cinnaminson would jump out to an early two goal lead only to see Delran battle right back. During this entire game, the Pirates would have leads only to see Delran's determination pay off. Lauren Wojcik would be at the right place at the right time when she scored the winning goal just 57 seconds into the overtime session. Cinnaminson would finally end this thrilling match-up by posting an 11-10 victory. Senior Megan Farrell compiled a 2-1 record, one save and a 1.17 ERA in four games last week as the Rutgers-Camden softball team went 3-1 against New Jersey Athletic Conference opponents. She won both ends of a doubleheader against Richard Stockton College April 19, hurling a three-hitter in a 2-1 victory in the opener and winning the nightcap in relief, 5-3. She pitched 2.1 hitless innings without allowing an earned run in that game. In a split against William Paterson University April 21, she allowed only one earned run in a 4-2 loss in the opener, then came back with 2.2 innings of relief to save a 5-2 victory in the nightcap. For the week she pitched 18 innings, allowed only a .191 opponent batting average, raised her record to 8-5 and lowered her ERA to 2.22. She also had three putouts, 12 assists and only one error on the week. It is the second Raptor of the Week honor this season for Farrell, who also won the award March 19. Twenty-three hits and nineteen runs. These were the numbers put up by the University of the Sciences in Philadelphia women's softball team Saturday afternoon as they continue in their quest for a playoff berth, splitting their Central Atlantic Collegiate Conference doubleheader with Dominican College in Orangeburg, New York. The Devils took the first game, 14-11 in eight innings. Dominican, however, rallied for four runs in the bottom of the seventh inning to win the second game 6-5. With the split the Devils are now 12-20 overall and 9-9 in league play. Dominican is 15-15 overall and 7-7 in league play. It was another test for both teams to face as they both won their previous game and were looking to keep their momentum moving in the right direction. The Fighting Clan from Vineland traveled to Kingsway to take on the Dragons in a non-league boys' lacrosse competition. The young Vineland team appeared confident at the start of this game, but senior Anthony Conti from Kingsway quickly jumped on the scoreboard with two goals and set the tone for the rest of the game. The Dragons opened up a five goal lead at the break and expanded that lead to a final score of 13-1. Conti scored four goals during the first half alone to lead Kingsway to their fifth win of the season. 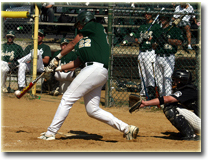 The University of the Sciences in Philadelphia men's baseball team snapped their ten-game losing streak Saturday afternoon, taking the second game of their Central Atlantic collegiate Conference (CACC) doubleheader 6-5 at Richie Ashburn Field in Philadelphia. The win salvaged a split for the Devils who lost the opener 13-3. USP is now 4-19 overall and 2-7 in league play. Post is now 14-18 overall and 5-6 in league games. Justin DeVincenzo recorded two hits in the second game as eight of the nine USP starters had at least one hit. Phil Cox and Chris Longo each drove in two runs. Phil Maher earned his first win of the season, pitching a complete game, giving up eight hits, five runs (four earned) while striking out four and walking one. The University of the Sciences in Philadelphia men's tennis team ran their winning streak to five consecutive games with a 9-0 victory over Bloomfield College Saturday afternoon at the tennis courts at McNeill Field Saturday afternoon. The win improves the Devils record to 10-2 overall. Their 10 wins are the most in a season since the 2000 season when the Devils went 10-4. The Devils swept through the doubles matches to take an early three point lead in the match. Paul Caceres and Ryan Pell shutout Matt Dutch and Jon Torres, 8-0 to win their number two doubles match while Ken Connelly and Dan Rubin defeated Bernardo Aviles and Hector Rodriguez at number three doubles by the same 8-0 score. Tyler Weisel and Ricardo Martins completed the doubles sweep with an 8-2 win over Bhaumik Patel and Danny Terrell at number one doubles. The Colonial Conference has always been one of the toughest conferences for teams to win due to the number of teams. Every one of those eleven teams on any given day has the chance to come away with the win. The Lady Lions from Lindenwold traveled to Haddon Township to take on the Hawks. Haddon Township had won six of their first seven games and would add on to their winning ways. The Lady Hawks would erupt for six runs in the second inning to take control of this game early. 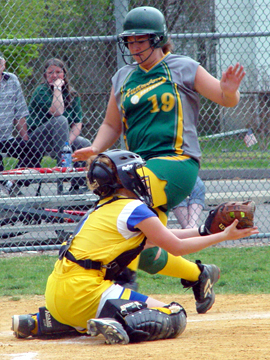 Starting pitcher Katie O'Riordan would earn the victory when Township posted and 11-1 victory over the Lions. The Chiefs from Cherokee are enjoying a season where their pitching staff has been coming through with some qualify innings. It appears that each time a pitcher steps onto the mound, not only are they limiting their opponents scoring chances but also their teammates have provided some run support. Starting his first game of the season, Ben Flanary pitched six innings for Cherokee helping his own cause with a two run homer against the Fighting Irish from Camden Catholic. 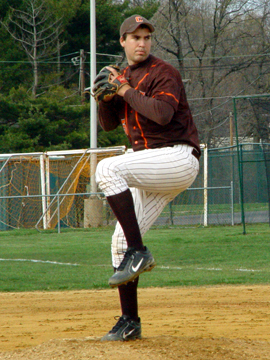 Cherokee would cruise to their eighth consecutive victory when they picked up the 8-2 win at Camden Catholic. 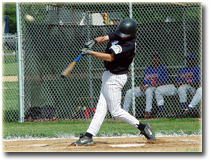 Baseball is that game that for many teams, it takes awhile to get started. 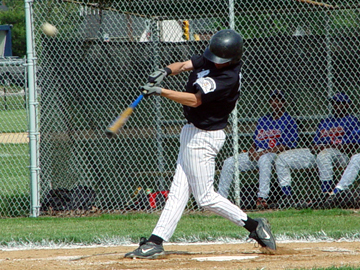 Players on the field and at the plate sometimes need a couple of innings to occur before they get a feel for the game. The advantage the starting pitcher may have would be opposing batters need to see a few pitches before getting locked in at the plate. One player who seemed to be locked in early was Dan McGuckin for the Eagles from Winslow Township. With his second hit of the game, McGuckin cleared the bases with a grand slam giving Winslow a big lead that Cherry Hill West could not recover from. Jason Gladden had plenty of run support and picked up the 9-3 victory on the mound for the Eagles. After being postponed for a day, the Central Atlantic Collegiate Conference Golf Championships took place yesterday at Frog Hollow Golf Club in Middletown, Delaware. The University of the Sciences in Philadelphia golf team was one of ten teams competing and battling the less than perfect weather conditions. When all the teams had finished their round, the Devils had placed eighth amongst the ten teams, equaling their finish from last season. The Devils finished the 18-hole tournament with a score of 340, two strokes behind seventh place Philadelphia University and 29 strokes behind tournament winner Post University. The Eagles won their second consecutive CACC Men's Golf Championship, edging Goldey-Beacom College by just one stroke, 311-312. Freshman Dave Taraschi broke the Rutgers-Camden golf program record by shooting a 1-under-par 69 to win individual medalist honors at the Tom Ruggieri Invitational II April 10. Taraschi not only finished five strokes ahead of the runnerup and was the lone golfer under par that day, but he broke the former Rutgers-Camden record of 71, which was set by Chris Binder at the Susquehanna Spring Invitational April 7, 2005. Taraschi's performance helped the Scarlet Raptors record their lowest score of the spring. Rutgers-Camden shot 329 as a team to finish third in the five-team event. Host Widener won with a 304. Widener's Kyle Durham finished second behind Taraschi with a 74.